There are two common types of one-person businesses: limited liability companies (LLC) and sole proprietorships. In this guide, you’ll find a detailed breakdown of each business type, to help you decide which is the best fit for you. Unlike other business structures, a sole proprietorship is not its own legal entity. As an unincorporated business, a sole proprietorship is not legally distinct from its owner. This means that the owner is entitled to 100% of the business profits, but is also responsible for 100% of the company’s debts. The LLC is a flexible business structure that can suit a wide variety of companies. Compared to a sole proprietorship, the LLC’s big advantage is asset protection — you as the owner are not financially liable for business losses. 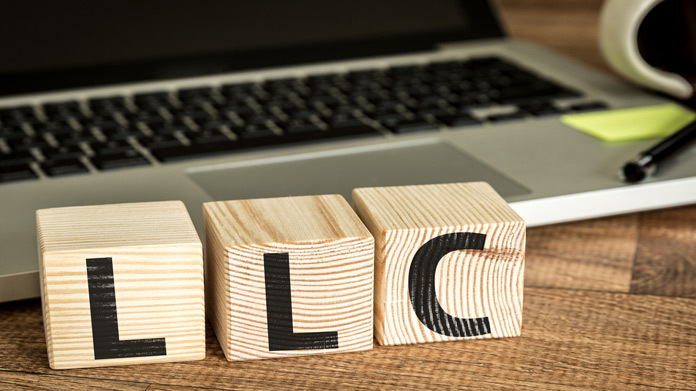 The main benefit of an LLC compared to other formal structures like corporations is the “pass-through” tax format, which allows you to report your profits and losses on your personal tax return. When it comes to asset protection, LLCs safeguard you as the owner in ways that sole proprietorships do not. Provided there is no fraud or criminal behavior, the owners of an LLC are not personally responsible for the company’s debts or lawsuits. This is because the LLC is considered its own legal entity, financially separate from the owners themselves. On the other hand, a sole proprietorship offers no such asset protection. As an unincorporated business, a sole proprietorship is not legally distinct from its owner. In other words, the owner’s personal assets and his or her business assets are not separate. This means that your personal assets can be taken by creditors if your company accrues business debt or legal claims. Sally is the owner of a boutique shop. She takes out a small business loan to build out her store and expand her inventory. However, due to a decrease in sales, she is unable to meet her monthly loan payments. Because she did not form an LLC, and signed for the loan in her personal name, she is 100% liable for the debt. If she had formed an LLC, and taken out the loan under her company’s name, she would not be personally liable for this business debt. Once an LLC is formed, it can begin building a credit history. This allows the LLC to access business loans, and other lines of business credit. An LLC can also offer ownership percentages to new members, who can then pool their resources to help build up the business. Business owners operating as sole proprietorships must use their personal credit lines to fund their companies. Even if they open a business bank account using a “doing business as” (DBA) name, they are still personally liable to their creditors. And unlike an LLC, a sole proprietorship can’t offer partial ownership as a method of raising capital, like discussed above. Mary is the owner of a small cupcake business. She rents out space in a commercial kitchen, and supplies a number of local cafes and coffee shops with her treats. She has an opportunity to expand her business and supply several more shops, but she first needs to hire one or two employees to help with baking and delivery. Mary decides to form her business as an LLC, and offer partial ownership as an incentive to her new employees, in addition to their hourly pay. This allows her to expand her team and grow her business, without taking out a personal loan. In the event that your LLC grows to a substantial size, you can decide to sell the company to the highest bidder. Sole proprietorships cannot be bought or sold like LLCs, because they are not separate entities from their owners. Sole proprietors can sell specific business assets, like physical or intellectual property, but the entity as a whole cannot be transferred to another owner. Travis is the owner of a successful car wash LLC, with three physical locations. He decides to sell his business and pursue his dream of going to medical school. Because he formed his business as an LLC, he can sell the entire company and all its assets in one relatively simple transaction.